Buying LAND is one of the first steps you will take if you decide to invest in the Decentraland platform. Decentraland have created an over the shoulder style video run through which is around 3 minutes long and will show you exactly how to navigate yourself through the marketplace (link) and how to buy Decentraland LAND. If you haven’t done so already, please view our quick start guide (link) as this video assumes you have already followed some basic steps which are required to buy a parcel of LAND. 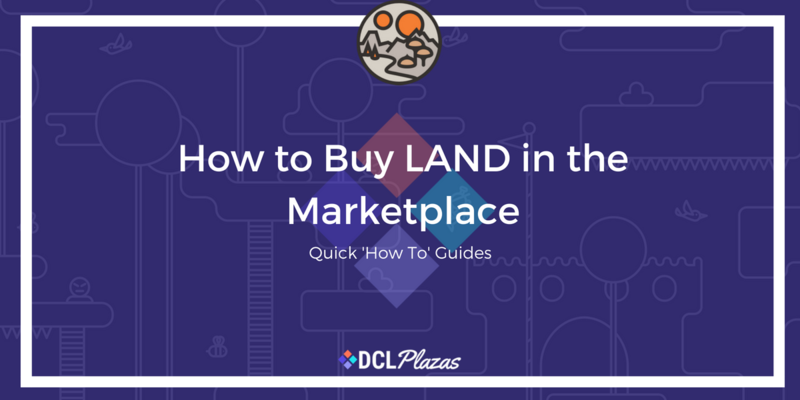 How to sell Decentraland LAND ..